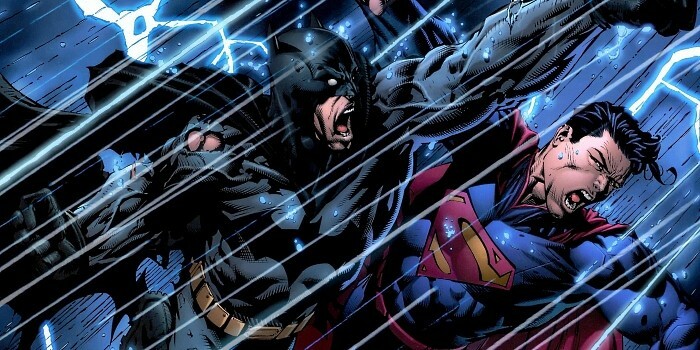 Frank Miller answered the fans’ prayers by making Batman and Superman fight, and boy.. it sure was a hell tot of fun to watch these two fan favourites go all out, in the comics as well as on screen. The bat immortalises their battle by winning and making statements such as, “I want you to remember the one man who beat you”. 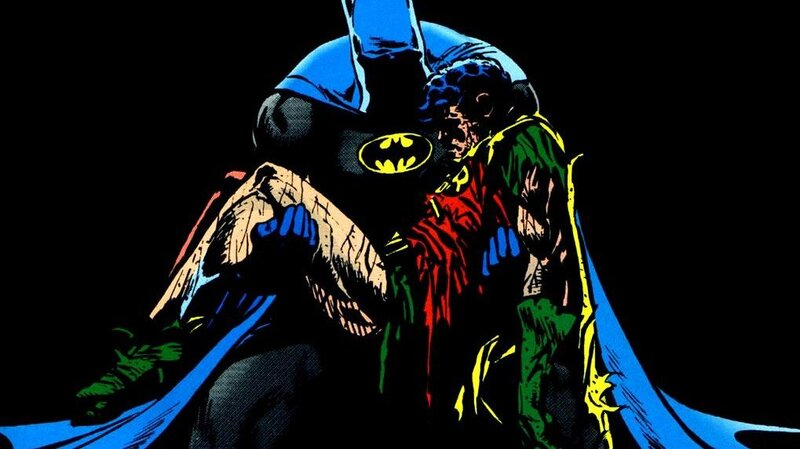 Out of everything that the Joker has done, killing Jason Todd was arguably the worst thing that he did. He traps the second Robin’s long lost mother who sells Todd out, and when he comes to save her, the Joker beats him to a pulp, with a crowbar. Laughing hysterically all the while, asking if he likes the forehand better or the backhand, he then leaves him there with a time bomb and blows him up just before Batman can get there. Just to give you a glimpse of what happens in this storyline after some Avengers are assassinated and the govt. rules in a programme to have a list of all superheroes’ identities, it is Tony Stark who becomes the govt.’s, tyrant. Spider-Man is unmasked on T.V. 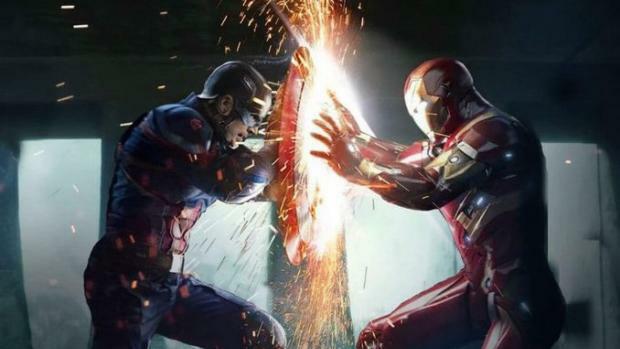 and Captain America dies. Pretty intense if you ask us. 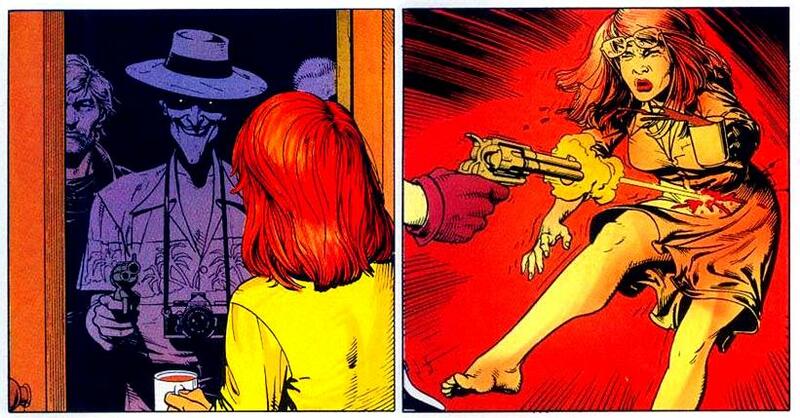 In ‘The Killing Joke’, early in the morning, when Barbara opens her door, with coffee in her hand, it’s the Joker at the doorstep who shoots Barbara aka Batgirl in the stomach, crippling her forever. All this while Gordon watches this, helplessly. He then undresses her and takes pictures of her wounds, doing so to show them to Gordon and make him cross the line. 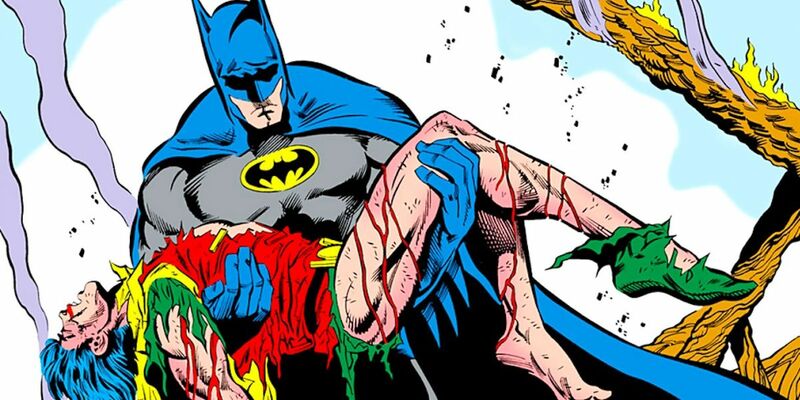 Probably the biggest shock of all in the comics was when the seemingly unbreakable Superman died. He and Doomsday go all out, and it is in their final blow that they strike towards each other, having all their energy, which hits both at the same time with such intensity that at the end of the battle Doomsday is dead, and Superman dies a heroic death in the arms of Lois Lane. This came as a big shock to the readers, also this changed the theme in this way that after this superhero started coming back from the dead.